PANDORA Loved Script Pendant Charm. PANDORA Shine™ and sterling silver dangle, suitable for wearing on a necklace or bracelet. 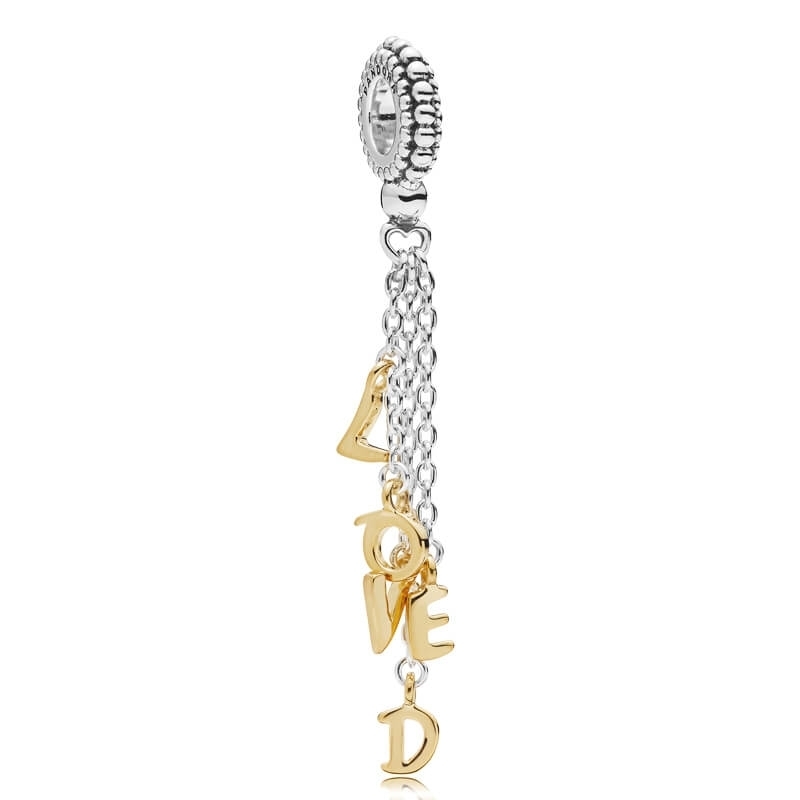 'LOVED' lettering is plated with 18ct gold. The perfect piece to express what a wonderful feeling it is to be loved.